Select any one option either 'Start with new project' or Select existing Project. Here, "Start with new Project" option is selected. Now, enter Project Name, Project path and browse the path of excel file by clicking on 'Import Excel' button. 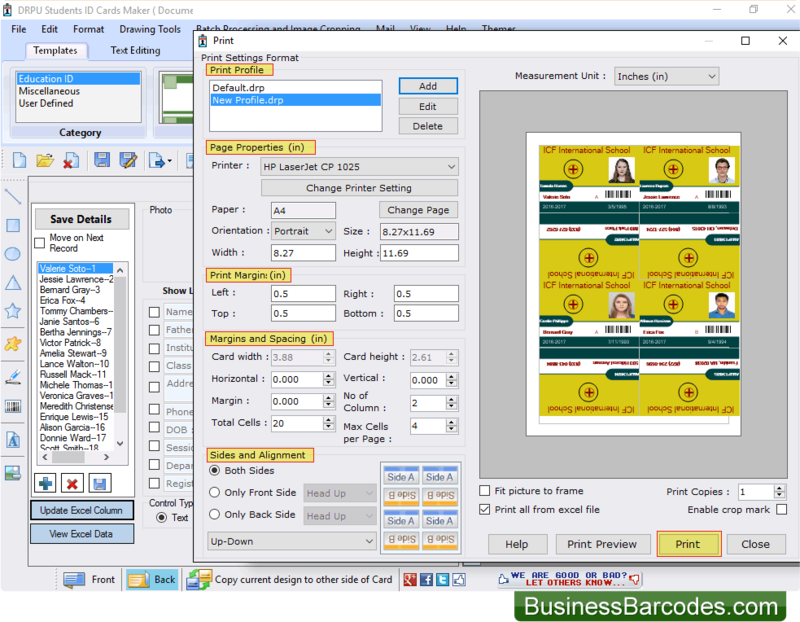 Select any pre-defined template as per your choice for your ID Card. Go to Next. 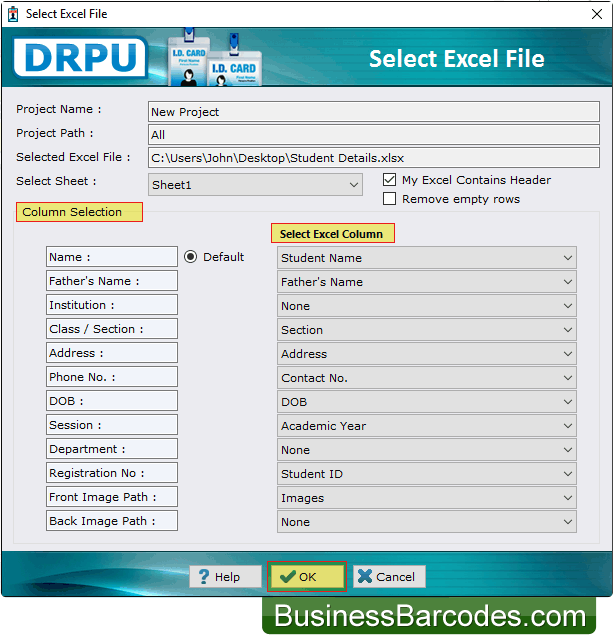 Here, you have to select 'Excel Column' for their respective ID card fields. Now Click 'OK' button. 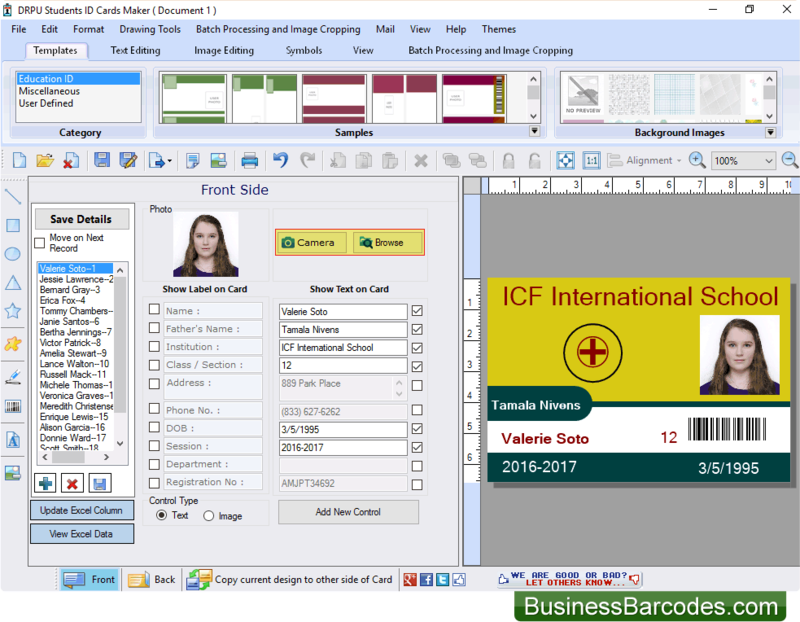 Here, You can see your designed ID Card. 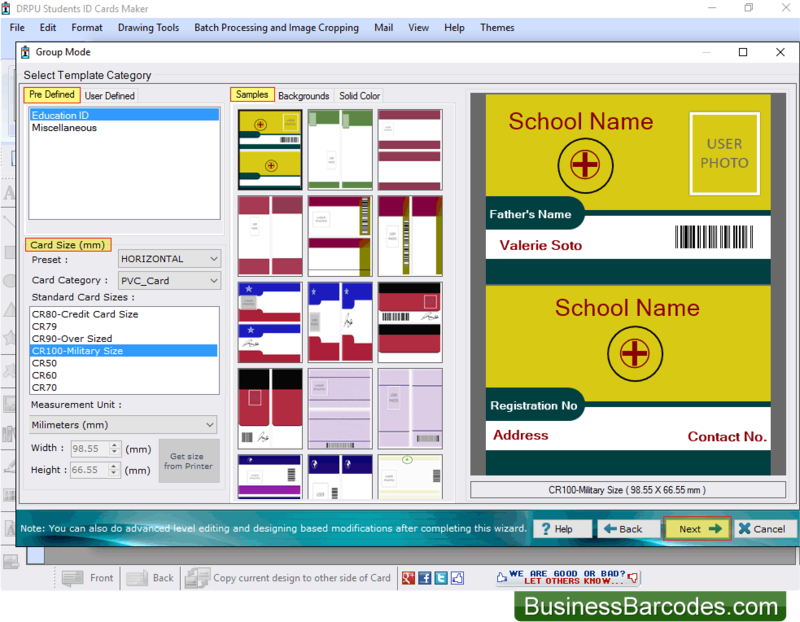 In the Left panel, when you click on saved ID card name then you can see all the details of particular ID card.